I originally wrote this post on April 23, 2013 following the Boston Marathon bombings. It was in honor of my beloved city, which was going through so much grief at the time. I felt compelled to support Boston and share about it, which I did by writing a round up of my favorite places that I recommend to friends whenever they visit Boston. It’s been several years since then. Some restaurants have closed, and other new exciting ones have opened, so I thought it was time for another update on top restaurants to visit in Boston. Here you go! Boston has fantastic seafood – everything from our dizzying array of raw oysters to the awesome lobster rolls and clam chowder. Try the incredible lobster roll at Neptune Oyster in Boston’s North End. Their hot buttered lobster roll is especially famous, but everything there is really, really good. I personally love their oysters as well as the Johnny cake. The biggest negative about this place is that they don’t take reservations and the restaurant is tiny. Waits can easily stretch to a couple hours long. Thankfully, you can leave your phone number and they will call you when your table is ready. However, don’t show up too late. We’ve come and been turned away before because the line was so long they wouldn’t be able to seat us that night. The last time we went, we showed up right at 11:15am (about 15 minutes before opening) and got in on the first “wave”. It’s the safest way to ensure a seat, I believe. If you don’t want to wait at Neptune, Row 34 takes reservations and is one of my favorite oyster bar/seafood restaurant in Boston. On top of their excellent cooked seafood dishes, they have great crudos, an awesome raw bar, as well as a killer beer selection. You can also get the hot buttered lobster roll here, and it’s divine. Island Creek Oyster Bar (same folks as Row 34), is another excellent alternative that takes reservations, located a stone’s throne from the vibrant area right around Fenway Park. This place has a great selection of local oysters plus lots of tasty seafood options. Of course, it is also very popular, so book early! Another option would be Select Oyster Bar in Back Bay (opened by Michael Serpa, previously chef at Neptune Oyster), which has been getting insanely good reviews. I’m a huge fan of their crudo (must try the Faroe Island Salmon Crudo!! 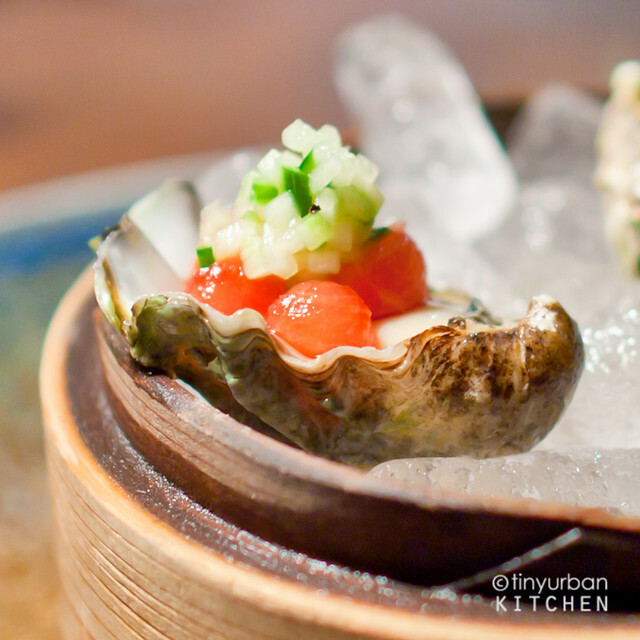 ), and definitely get a platter of local raw oysters. 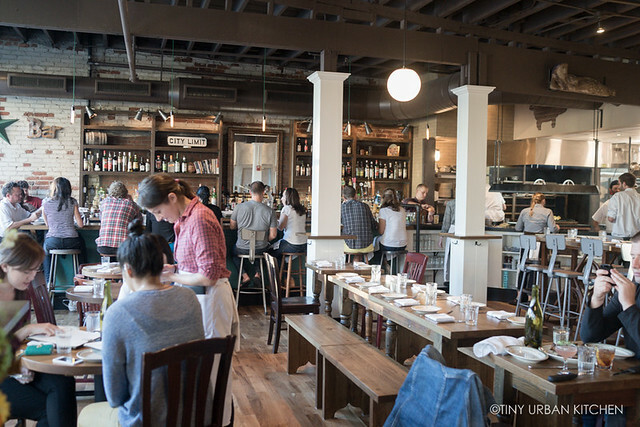 Finally, check out Eventide in Fenway. Originally from Portland, Maine, this trendy and casual seafood joint offers some of the greatest hits from the Portland location’s menu, including their eponymous brown butter lobster roll made with a steamed bun as well as many local oysters on the half shell. If you have time, take a 45-minute drive up to Boston’s North Shore and enjoy famous fried clams from a clam shack (there’s a long standing debate about whether Woodman’s of Essex or J.T. Farnham’s is better. I’ve never been to Woodman’s, but I can say that the views at J.T. Farnham’s are beautifully relaxing and the fried clams are tasty (though personally I think there are equally good ones right in Boston). Friends have told me that Clam Box in Ipswich is even better than the above two. And finally, local old-school favorite Legal Sea Food does excellent standard seafood fare, like fried clams, raw oysters, and lobster rolls. Try Legal Harborside for stunning views of the water. 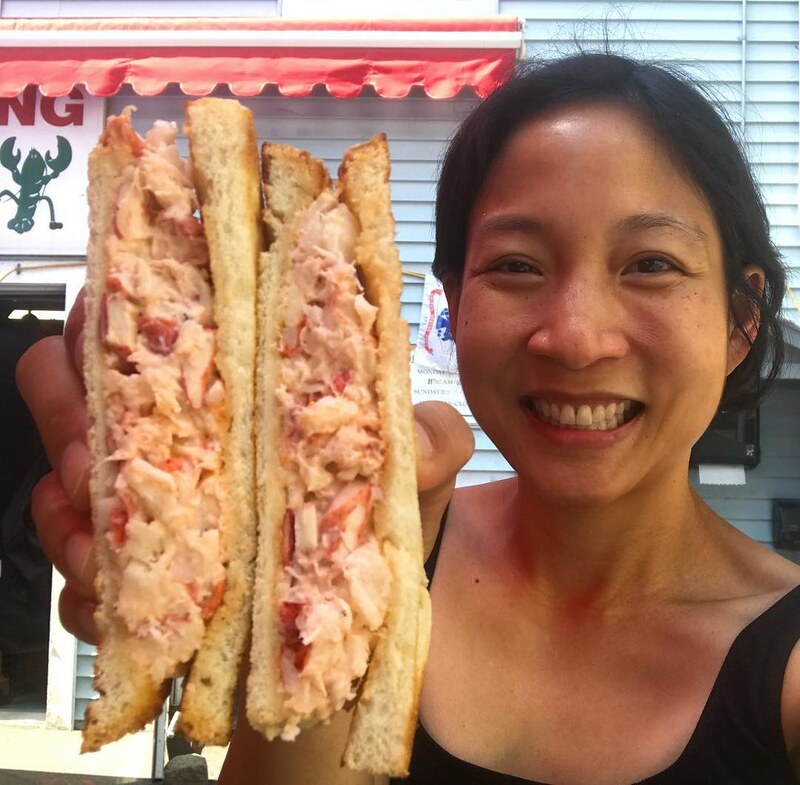 My favorite lobster roll is actually a lobster sandwich from a small neighborhood “shack” in Cambridge called Alive & Kicking Lobster. This tiny little seafood shack only has outdoor picnic benches for seating. It serves fresh whole steamed lobsters, lobster sandwiches, and even a full fledged New England Clam Bake (complete with clam chowder, steamers, and a whole lobster!). If you like lobster and love the ocean view, definitely check out Lobster Pool in Rockport, where you can actually watch the sunset over the ocean (one of the rare places in the East Coast where this happens!). The lobster rolls and lobster quesadillas there are fantastic. The North End is a vibrant, food-packed neighborhood that is definitely a must-visit. Though most tourists will line up to eat at Giacamo’s or Pizzeria Regina, we prefer Mamma Maria, a place serving excellent Italian food in a cozy, townhouse-like environment; or the buzzing Prezza, who has one of the best bolognese sauces we’ve ever tried and an awesome lobster fra diavlo (but really, everything is fantastic). For more casual, less expensive, but still excellent Italian fare, try Monica’s Trattoria or Antico Forno. I always skips dessert at restaurants in the North End because I love heading over to Modern or Mike’s Pastry for dessert. Don’t miss the awesome lobster tail at Mike’s (my favorite!) or the amazing, filled-to-order cannoli at Modern. Lines can get long on weekends, though you can sometimes avoid the lines if you opt for sit-down service at Mike’s (if there’s an open table). I also love just chilling while sipping on cappuccinos at Cafe Vittoria, an old-school Italian cafe that serves desserts, gelato, and all sorts of coffee drinks. One great tip about parking is that you can park at the Parcel 7 Garage (address is 136 Blackstone Street but the entrance for the garage is on New Sudbury Road) which only costs $1 for two hours or $3 for three hours if you validate. Many of the North End businesses will validate. Worst case scenario, you can always get a dessert at Mike’s Pastry or gelato at a gelateria, most (if not all) of which validate. Just make sure to finish everything within the three hours to get the discount pricing. If you’d rather not fight the crowds in the North End (which, admittedly, is a bit touristy, though totally fun), head over to Erbaluce in Boston for seriously authentic Roman-style cooking, including one of the best carbonara pastas in the city. Giulia, in Cambridge, makes all of its pastas in-house daily and executes excellent dishes overall. For special occasions for larger parties, you can even enjoy a special tasting menu at the Pasta Table. We are so lucky to have this popular place right around the corner from our house. We visit it very often (at least once or twice a month!). You can also visit their more upscale sister restaurant in Harvard Square, Benedetto, which has the same type of fresh pasta but also more “secondi” meat dishes and an expanded wine list. Also in Harvard Square in the Charles Hotel is Rialto from local celebrity chef Jody Adams. Rialto is perfect for business meals and graduations, and has a lovely patio for al fresco dining in the summer. My favorite Italian restaurant in Boston right now is Bar Mezzana in Boston’s South End. Run by chef-owner Colin Lynch and his wife Heather (formerly from the Barbara Lynch Gruppo – no relation), this place makes fantastic crudo and amazing pasta. Honestly, everything is good here. Their simple cacio e pepe is the best I’ve ever had. All the pastas are freshly made, and they source great ingredients. Despite the fact that it’s a bit inconveniently far from Cambridge, I have still made many trips out there because I like it so much. 3. A Splurge One Night? Although Boston hasn’t been rated by the likes of the Michelin Guide, San Pellegrino Top 50 Best Restaurants list, or other lists that get passed around, we have our own fair share of fantastic fine dining options. Here are my favorites. For a twist on Japanese food (one of my favorite cuisines), head down to O Ya in downtown Boston where James Beard Award winning Tim Cushman will delight you with his creative takes on sushi. Must try dishes include the fried Kumamoto oysters nigiri, grilled chanterelles & shitake mushroom “sashimi”, and the foie gras nigiri for dessert (yes, chocolate sauce and dessert wine). If you’re into sake, Chef Cushman’s wife Nancy Cushman is a certified sake sommelier and can create a great pairing for you. One of my favorites is Uni Sashimi Bar, an Asian-fusion restaurant that serves beautiful, creative, and well executed dishes. Chef Tony Messina is super talented and is always coming up with stunning flavor combinations that are gorgeously presented. For true nose to tail dining, check out the ever popular Craigie on Main across the river in Cambridge for overall excellent food. Chef Tony Maws is fanatical about the quality and the source of all his food, and it really shows. Try the Ultimate Chef’s Tasting to see some of his best work, or try the Pig’s Head for Two and the fried pig’s tails to literally experience “nose to tail”. 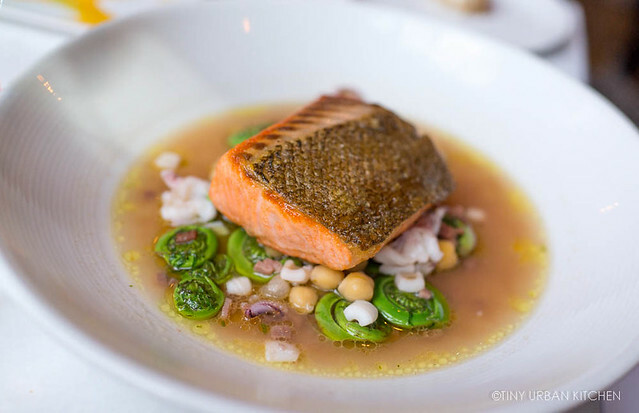 His more casual neighborhood restaurant, The Kirkland Tap & Trotter is also excellent. Not only can you get a different take on Chef Maws’s burger, the menu is constantly changing, and everything is fantastic. We’ve gone multiple times for brunch and really enjoy it. This guy’s got true talent, and it’s definitely worth trying one of his restaurants if you have a chance. For that refined, sophisticated high-end French experience, Menton is well regarded as the best option in the city. Barbara Lynch set out to even out-do herself (still a great choice) in offering a new level of haute cuisine never seen in Boston. It seems like Chef Lynch has succeeded, even receiving the honor of being Boston’s first ever Relais & Chateaux recognized restaurant. Menton offers various tasting menus inspired by local ingredients and interpreted with French techniques with influences from all different sorts of cuisines. We’ve tried several meals there, and have always been impressed by the food, ambiance, and service. For an indulgent meal, consider trying Chef Peter Ungár’s 10+ course tasting menus at Tasting Counter, a counter-style restaurant where the guests can watch chefs in action while enjoying the multi-course meal. You book by purchasing tickets to the meal, with or without wine pairing (guests can also opt for a beer or non-alcoholic pairing). One thing that has spoiled me here is the plethora of really good gastropubs, something I take for granted too often. Just in Cambridge alone, I only need to walk a few minutes to find a really good, reasonably priced place where I can get excellent food and a great selection of craft beers. There are tons of these around, so I’ll just mention a few of my favorites. Keep in mind that I do live in Cambridge, so my choices may be a little skewed towards places that are convenient for me. One of our favorite go-to neighborhood restaurants is Bergamot, a New American restaurant right on the border of Somerville and Cambridge. Chef Pooler is extremely talented and executes fantastic, flavorful, seasonally-driven dishes on an ever-changing menu (I love the variety – it keeps me coming back). The man grew up in the North Shore and has been cooking seafood since he was a kid. The seafood shines here, and you can’t go wrong ordering it (though honestly, everything is good). We also love their other restaurant, BiSq, a small-plates focused restaurant with amazing house-made sausages, charcuterie, and all sorts of globally inspired dishes (I love the Peruvian influence). Both Bergamot and BiSq have different but excellent wine programs, aimed at procuring good-value, lesser known wines. I love love love what Chef Tracy Chang is doing in the neighborhood with PAGU, an Asian fusion restaurant that’s mostly Japanese and Spanish inspired, but also throws in a dose of Taiwanese from her heritage (yay!). Chef Chang has poured her heart and soul into this place, and it shows. The food is fantastic and beautifully presented. She also does neighborhood events and really invests in the community. Definitely try the famous pop-up ramen Guchi’s Midnight Ramen (my favorite ramen in the city), the cheesy wafflatos, and the squid ink baos. Stop by for breakfast too! They make excellent coffee, phenomenal pastries, and offer Taiwanese-style congee (with a twist, of course). 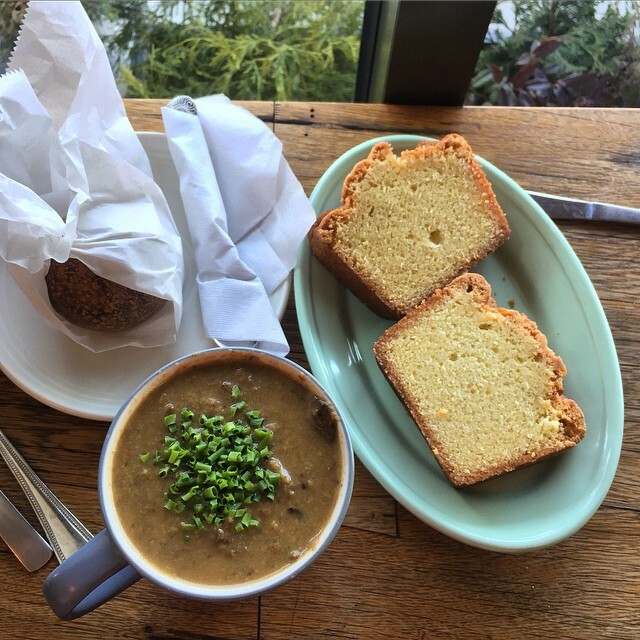 One of my favorite cozy, intimate restaurants is Bondir, a serious farm-to-table restaurant that works really hard to stay very seasonal and local as much as possible. Chef Jason Bond’s goal is to cook with vegetables that are picked fresh that day, fish that was caught that morning, and so on. The food is really good, and I love the ambiance, especially in the winter. Another great restaurant in Cambridge is Puritan & Co., helmed by the super talented chef Will Gilson. I’ve always really enjoyed whatever I have ordered on the menu at Puritan. Favorite dishes include the swordfish belly pastrami (which I get almost every single time), anything made with lamb, and his vegetable-focused risottos. If you’re willing to drive out a bit into the burbs, check out Sycamore in Newton, an all around great New American restaurant from Chef David Punch, who we used to visit all the time when he was the chef at Ten Tables Cambridge. His other Asian-fusion restaurant, Little Big Diner, does great ramen and other Asian-inspired small plates. Alden & Harlow is something that’s almost too good to be true: a huge restaurant located at a prime location (the heart of Harvard Square) serving fantastic food at very reasonable prices. The constantly changing menu of small plates is inspired by local and seasonal ingredients (love how many cool vegetable offerings there are!). The ever changing “Secret Burger” has won a plethora of national awards and occasionally sells out before 6PM (read: come early). Reservations are sometimes hard to get, but you can usually find walk-in seating if you just show up a bit earlier. For some of the best Spanish tapas in Boston, head to James Beard award winning chefs Jamie Bissonette’s and Ken Oringer’s Toro in Boston’s South End. This place does not take reservations and always has a long wait, so do what we did – show up right before opening (like 5:15PM), and get seated in the first wave. Chef Bissonnette and Oringer’s other restaurant, Coppa, focuses on cured meats, house made pastas, and other Italian specialties. Try the Spaghetti Carbonara, which has smoked pancetta, sea urchin AND a farm egg. Boston has an amazing craft beer scene, especially the past five years, with more and more really good breweries popping up. To try a bunch of local beers, check out Cambridge Common (30+ beers plus great food – get the sweet potatoes fries! ), Lord Hobo (40+ beers on tap and good food), or Mead Hall (100+ on tap! but ordinary food). I personally have a soft spot for Cambridge Brewing Company, a microbrewery that’s been around long before the current craft beer craze. They make a lot of fun beers throughout the year – everything from a pumpkin ale during the fall to a fun, smoky spicy hot pepper beer that we recently tried. The food is decent, the ambiance is fun (try the tower of beer! ), and sometimes they even have a jazz brunch on weekends, which is fun and relaxing. Legal Park Square has the best wine list out of any of the Legal Sea Foods (and has even won Boston Magazine’s “Best of Boston Wine List” award), influenced largely by the restaurant group’s sommelier, Sandy Block, one of only 300+ sommeliers in the world who have attained “Master of Wine”. All Legal Sea Foods have phenomenal prices on wine. It’s part of a larger philosophy of the restaurant to provide value in wine prices. Seriously, we often see bottles selling for prices lower than what you would pay at Costco. It’s a bit crazy, but we love taking full advantage of it. The seafood is fine (nothing particularly creative but everything’s fresh and good quality). But really, we go because of the wine. My favorite Brazilian restaurant is Muqueca in Inman Square, which offers delicious seafood stews called moquecas. The mariscada is also excellent, and the yucca fries and cashew fruit drinks are just fun to try. My favorite not-so-hidden ethnic gem lunch spot is Baraka Cafe, a North African Tunisian restaurant that resided for years on the edge of Central Square. It recently moved to North Cambridge. Service can be a bit slow at this family owned restaurant, but the food at lunch is quite good and worth the wait. Definitely try the cherbat, their signature Algerian style lemonade made with rose petals and North African spices. For a more unusual, Mediterranean experience with a Turkish emphasis, check out Ana Sortun’s more upscale Oleana, more casual Sarma, or her bakery cafe Sofra. All three are excellent. Chef Sortun’s husband is a farmer (I actually belonged to his CSA for years!). Accordingly, it’s no surprise that the restaurant strongly emphasizes local and seasonal produce. The ramen scene was sparse just a couple years ago, but it’s slowly getting much better. My favorite ramen comes from PAGU (get the Guchi’s Midnight Ramen, which is awesome) and Santouka in Harvard Square (Hokkaido-style ramen from Japan). Oisa Ramen is a newcomer that is opening soon. Chef Moe Kuroki’s pop-ups have been wildly successful and I’m guessing this will be a great place to visit as well once it opens. For a unique style of rich, pork-bone broth ramen, try Yume Wo Katare in Porter Square, where you can try the unusual “Jiro”-style ramen not found in many parts of the US. The portions are so large, you actually get congratulation if you finish, since most people can’t. It’s super rich and topped with tons of garlic (make sure you like garlic!). Don’t be surprised if you have to wait in line outside to get into this tiny little place, which only accepts cash and makes you use Japanese in the restaurant (they have signs on the wall telling you how to pronounce certain phrases). For sushi, we typically head to Cafe Sushi in Cambridge. The simple sushi restaurant known for its Sunday “dollar sushi” for decades re-invented itself when Seizi Imura took over the culinary direction of the restaurant from his father. Chef Imura, who trained in San Francisco, incorporates both local and imported seafood into his artfully plated and creatively composed dishes. Though initially I was sad that dollar sushi was leaving, I am now a much bigger fan of the revamped Cafe Sushi, which has quickly become one of the best, reasonably-priced, sushi restaurants in Boston. Definitely get the specials or the omakase if you can. Skip the ordinary stuff, which is likely still there to keep the original patrons happy. For hand-pulled noodles made in the style of Xi’an, drive out to the main restaurant in Woburn or head into the downtown Boston satellite location to get a taste of Gene’s Chinese Flatbread Cafe. Get the liang pi (weekend only), lamb stew, and handmade noodles, but skip the flatbread sandwiches. For Chinese food, our favorites in Chinatown are Taiwan Cafe, Gourmet Dumpling House, and Dumpling Cafe. For Cantonese fare, we also enjoy Peach Farm, Winsor Dim Sum Cafe, and Hei La Moon. In Cambridge, Dumpling House, whose menu is quite similar to Gourmet Dumpling House, is also very good. In the suburbs, we do love Shangri La in Belmont for Taiwanese/Northern-style dim sum and Golden Garden for its interesting dishes from the dongbei (Northeastern) region of China. For Sichuan food (and excellent cocktails), Sichuan Garden in Woburn is a great choice. For Thai food, Thai North in Brighton has an excellent selection of really authentic Northern Thai dishes. Just make sure to order off of the special Northern Thai section of the menu. My personal favorites include the Chiang Mai Sausage, the Chiang Mai Noodle Curry, and any of the larbs. Burger aficianados will quickly zone in on local burgers that have attained a cult-like status, like the super limited burger at Craigie on Main in Cambridge (only 18 made per day!) or the ever-changing “Secret Burger” at Alden & Harlow. One of the most popular, historic, and (admittedly) touristy burgers in the entire city is Bartley’s in Harvard Square, which has been around since 1960. This place is an institution in the Square and often has lines going out the door on nice days. The burgers are named after various celebrities in fun, irreverent ways (often poking fun based on current events). Boston has several Shake Shack and Five Guys locations as well, which are all solid. For a simple lunch, one of my favorite local places for excellent salads and pizzas is Area Four in Cambridge right near MIT. I love the thin crust pizzas that they make, which often come with really creative toppings. Their salads are excellent, and are always made with seasonal ingredients. As for non-pizza items, try the garlic knots or their wines on tap. Emma’s in East Cambridge was one of our favorite places for thin crust pizzas. They closed their Cambridge shop in 2016 but there’s still a South End take-out location. Our favorite is the No. 4, which includes cranberries, potatoes, and bacon. If you don’t mind standing while you are eating, Otto Pizza (originally from Portland, Maine) serves up a fantastic slice from a tiny counter right on the edge of Harvard Square. There’s another location in Allston where you can enjoy your pizza with seating and a beer. Boston is obsessed with ice cream and I really think we have some of the best ice cream in America. 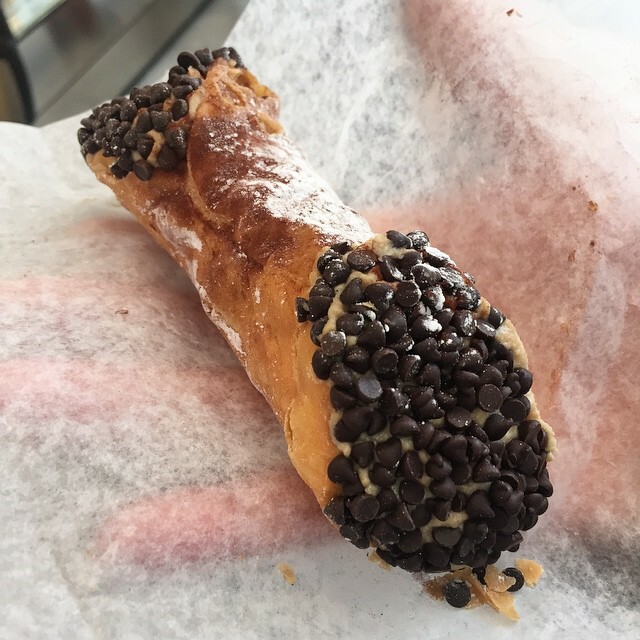 My personal favorite is Toscanini’s (or Tosci’s) in Cambridge, which offers an eclectic variety of flavors that is ever-changing. Rancatore’s in Belmont and Lexington, founded by the brother of Tosci’s owner, also serves similar ice cream, though the flavors are more ordinary. The best part about the Lexington location is that it’s located right off the Minuteman Bike Path, so you can easily bike there, enjoy an ice cream cone, and head back to Cambridge. Other popular local ice cream places include Christina’s and JP Licks, but Tosci’s is my favorite. One of my all time favorite bakery items in the entire city of Boston is Hi-Rise Bread Company’s vanilla loaf. I’ve even tried making it (though my version based on their recipe still doesn’t taste quite as good as the real thing, it’s close!). Aside from all the wonderful breads and sweets that they sell, Hi-Rise also makes excellent sandwiches. There are multiple locations in Cambridge, and it’s a fabulous place to have a relaxed lunch (though come early – like before noon – if you want to make sure you get a seat). I also love Tatte Bakery in Cambridge (or Boston, there are several locations). Try a signature nut box (they’re crazy good), cookie, or stop by for lunch and get a salad or sandwich. There are so many good coffee places I don’t even know where to start, but places we really enjoy include Simon’s, Barismo, Thinking Cup, and Barrington Coffee. The most famous bakery in Boston just may be Flour Bakery by Joanne Chang. Her sticky buns are the most famous. They were featured in a throwdown with Bobby Flay and won. Rumor has it that you have to go early otherwise the sticky buns run out, though I’ve seen them at the Central Square location as late as 6PM. The fresh baked bread here is excellent, and it makes the sandwiches especially tasty. Their salads are also solid, and I like to eat them for lunch or dinner when I’m trying to be healthy. 9. Still So Many to Try . . . This is by no means a comprehensive list of all the top restaurants to visit in Boston. It’s a list of places that I would recommend to my friends if they asked me for advice. I hope you find it helpful, and feel free to comment below or email me with any questions or additional suggestions!